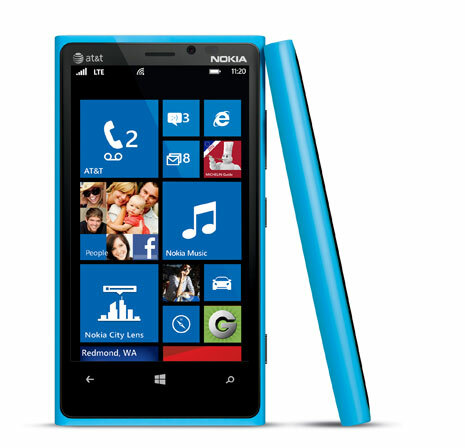 One of the questions we’ve been getting a lot in the comments about the Nokia Lumia 920 is will it come in cyan? The answer, my friends, is yes. According a a ZDNet report, the cyan Nokia Lumia 920 will be part of AT&T’s fall line-up. This brings the total of colors available for the Nokia Lumia 920 to five. The others variants are yellow, red, black and white. Rumors, however, suggest that the cyan Nokia Lumia 920 may be an AT&T exclusive. In addition to the Nokia Lumia 920, AT&T will also be carrying the Nokia Lumia 820 and will have black variant of the phone available. Rumors suggest that the Nokia Lumia 920 will be launched by AT&T sometime in late October and will start to be available on the AT&T store on November 4. Looks like AT&T’s expecting Windows Phone 8 to be in high demand after its launch; in addition to the Nokia Lumia 920 and 820, they’ll also be making HTC’s own Windows Phone 8 device, the HTC Phone 8X, available in their stores this November. It will be interesting to see which Windows Phone 8 ends up being a hit with the people. Which Nokia Lumia 920 color is your personal pick? Will the cyan Nokia Lumia 920 be enough to convince you to go with AT&T? Share your thoughts in the comments below!